Of all the "must haves" attached to a wedding, the two that seem to be pushed to the bottom of the budget are the celebrant (without whom you'd just be having a very expensive party) and the invitations (without which none of the people you want to be there would know the important where and when facts). When I look back on my wedding album, the thing that jumps out to me is how very ordinary the invitation was. Way back then (before home computers and emailed invites, Facebook events, Vistaprint, DIY paper suppliers, or bespoke wedding stationery craftspeople like Lorelei of Studio B Couture) you basically had one choice - your local printer. You (and your mother) would look through the small selection of samples, choose whether you wanted white or cream stock, silver or black ink, and fill in the blanks on the standard layout - names, places, and times, nominate how many you wanted. And that was that. Your invitations demanded almost nothing from your wedding TIME budget. And they were never featured in photographs. 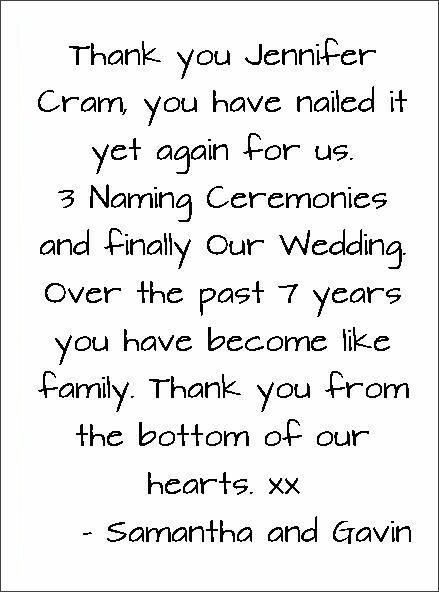 Nowadays we know that your wedding stationery can be so much more than a practical mechanism for making sure that the people you want to share your big day with you know they are invited, and where and when the event is being held. be a precious memory-triggering artefact for years to come. 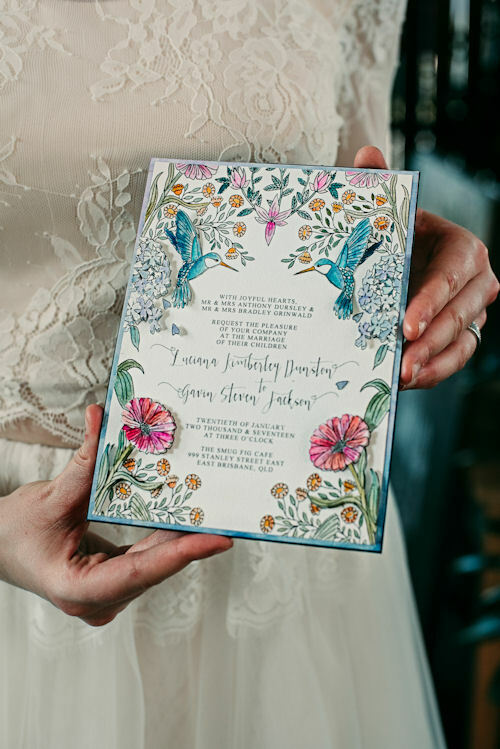 If you go to your chosen stationer firs t (which makes sense as you'll need Save the Dates as much as a year ahead), your stationer can help you create a visual concept design brief with colour codes for you to take to other vendors to explain your vision for your wedding. 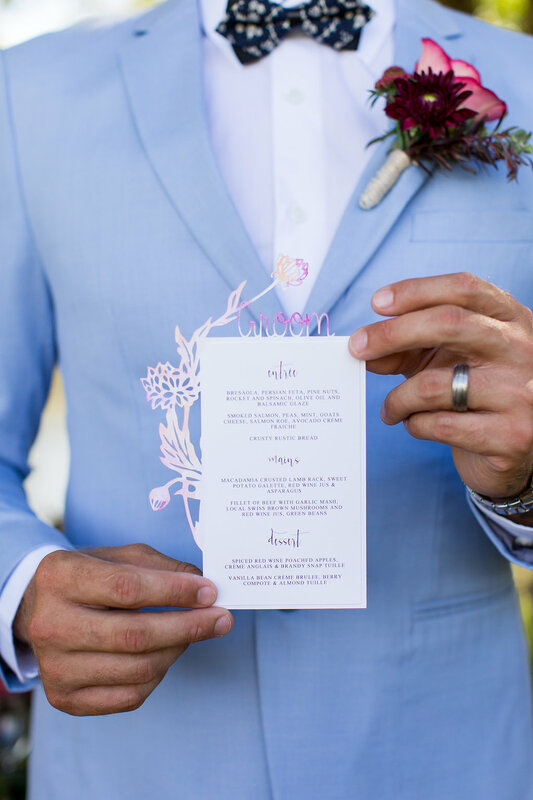 Beautiful stationery is often a feature in wedding photographs in the US - both held by the groom, and as part of the details photos . In Australia we're more likely to see "still-life" detail photos of the shoes, jewellery, including the rings, perfume bottle, and the bouquet. With the menu being photographed on the actual table. 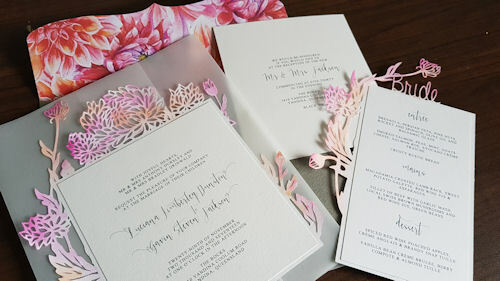 We rarely seem to see the full suite of wedding stationery featured in wedding photos. When you order your wedding stationery make sure to order an extra set as a keepsake and to have handy for your photographer on the day. Oh, and there is another BIG advantage to using a stationery designer/craftsperson when compared with DIY - you have a professional who knows what details need to be included and who, like my printer way back when, will check that you haven't left out anything important.